As evolving producers (all Crate Kings readers are) we’re constantly searching for an edge or tip that can make recordings sound better. Gary Bromham at Propellerhead’s Record U offer a quick nonsense guide for anyone looking to configure or rethink their personal recording space. Topics covered include acoustic treatments, gear placement, dead space, standing waves, and more. Visit Record U to read the complete guide. sometimes the session takes at my pre production set up have more life than the studio ones and we just end up using those and the pre/mic is a pos but man when i get the dollas for the rhodes and avalon . . . Pretty good read. I will reference this site in the future. 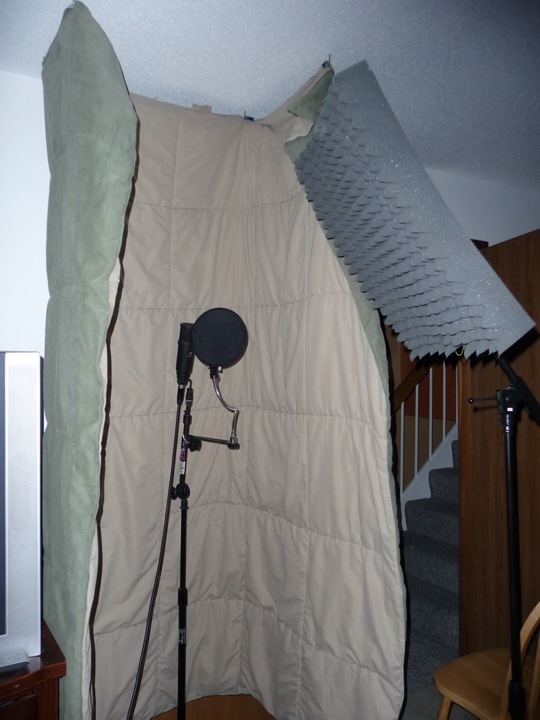 Hope to start recording in my studio within the next couple weeks. Yeeee! Record U stole that article from a audio book i read over a year ago. It had an X-Ray image (Skeleton) of a a man with headphones on. They stole that whole article from the first chapter. Our maybe he wrote the article, either way great information. If anybody know the name of the book please refer to the readers on hear. u call that a booth ? WTF?I Built one of those when i was like 2.LOL JK This is good for the poor and the dumb i guess!